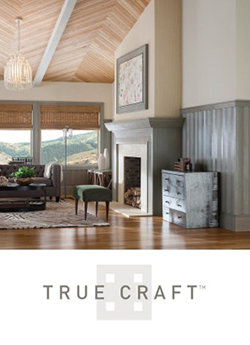 Whether you are a designer, architect, builder or contractor, Metrie™ can help you create truly finished spaces. 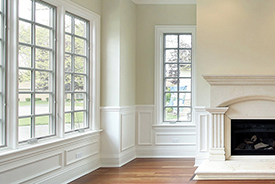 This page houses tools, content and links to information on our finishing elements and other interior solutions tailored to professionals like you. No one pays more attention to details than you. 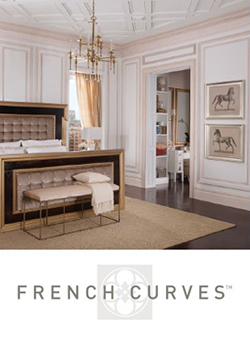 Every curve and line can make or break a design. That’s why we have collected tools to help you set the stage and get to know our products. 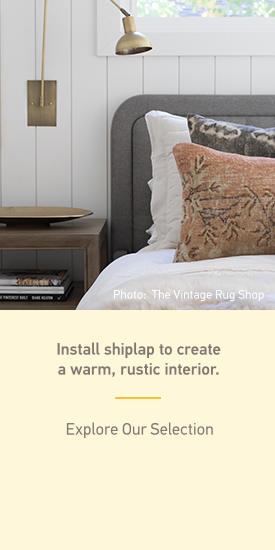 Visualize a room with our Room Styler. 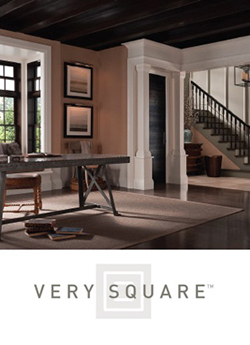 Take our accredited educational courses to learn about interior finishings and trimwork. 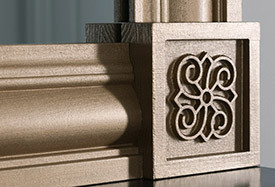 And get access to CAD drawings for our Then & Now Finishing Collection mouldings by registering as a Pro. Looks aren’t the only thing that matter in a finished space. Ease of installation, custom-tailored solutions and green building certifications also make a big impact on your work. 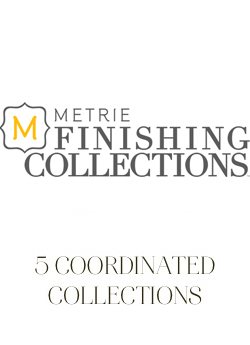 Learn more about Metrie Complete™ with Fintek, our line of pre-painted finishings. Read about our green and LEED-certified products, or explore Metrie2™, our custom solution for hospitality and commercial residential projects. Finishing Collections, each with a number of unique Scenes and trim styles – coordinated and organized to make it easy to set your scene. 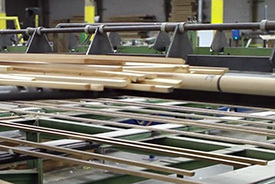 You can search our site for the many thousands of moulding profiles and lumber available in a wide range of materials and species from our network of manufacturing and distribution facilities throughout North America. 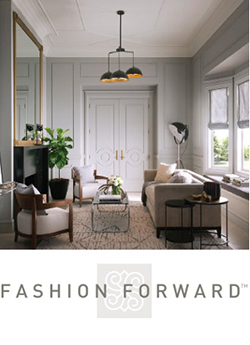 Get in touch with us on social media or follow our blog - The Finished Space - to keep up with new products and important trends impacting the interior finishings category. 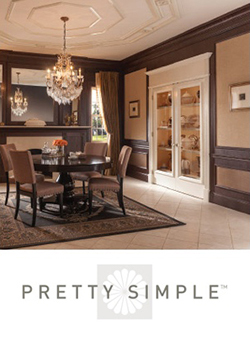 Learn how you can confidently specify Interior Finishings in our next project. Select a course and begin! 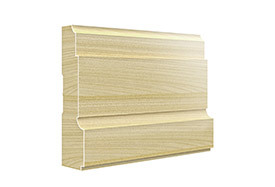 Tell a more responsible story in any room with our full line of SPERO™ green-building-compliant mouldings and boards. 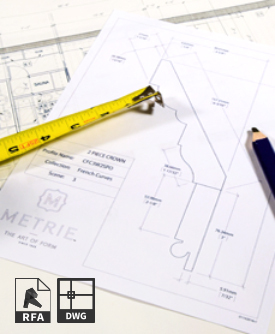 Metrie2 – Made to Measure – offers comprehensive customized services to the hospitality industry and residential projects with a dedicated design team and our network of manufacturing plants and distribution centers throughout North America. Visit our Metrie2 site to contact us. Our story has been developing for 90 years. So has our design, manufacturing and species expertise. 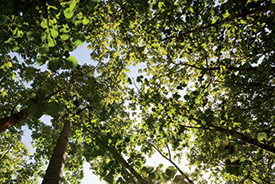 Learn more about our quality-driven and state-of-the-art manufacturing facilities and sustainable practices.